Designed for the Splugen Brau beerhouse and restaurant in Milan, the lamp features a thick, ribbed aluminum body which aids heat dispersal. 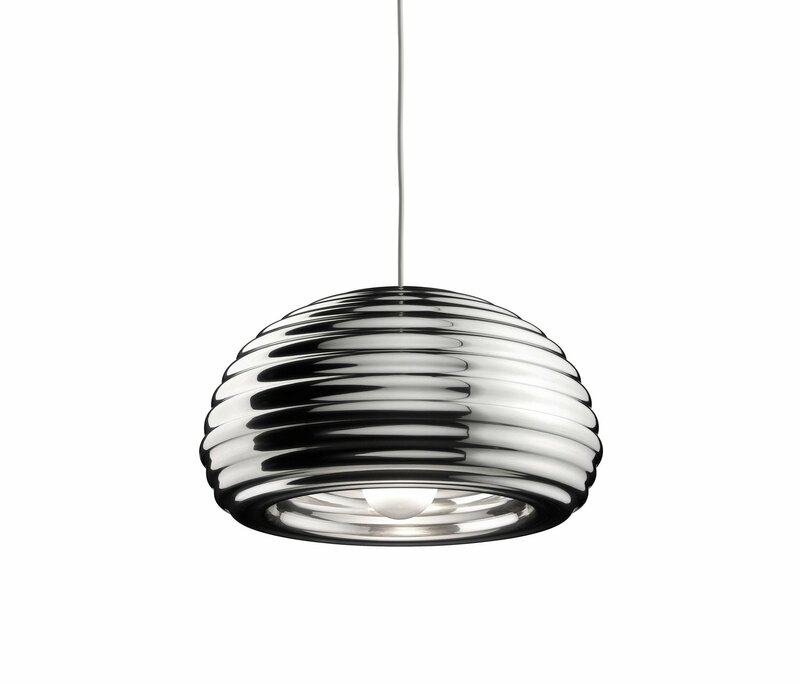 Uses a silver-domed bulb to provide indirect but concentrated light. Achille Castiglioni's imaginative forms and simplistic designs have made him one of the most influential figures in Italian design. His works are represented in museums all over the world. MoMA in New York features 14 of his works. He has also been the recipient of numerous awards, including 9 Compasso d'Oro.